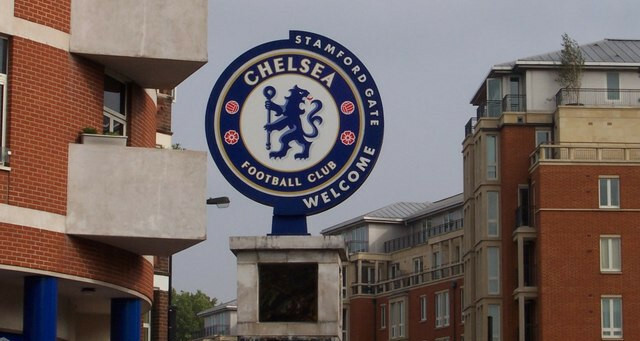 Stamford Bridge has been the home of Chelsea Football Club ever since Gus Mears bought the ground in 1905 and decided to found a brand new football team to occupy it. The stadium itself was originally used as an athletics club and maintained that purpose until about 1904. That was when two brothers, Gus and Joseph Mears, acquired the land and decided that they wanted to stage professional marches there. Interestingly, in 1898 Stamford Bridge actually hosted the World Championship final of shinty! The ground was originally offered to nearby Fulham Football Club by the Mears brothers, but they turned it down for financial reasons causing the brothers to start their own club as a direct rival to Fulham. That team was, of course, Chelsea and they haven’t left Stamford Bridge since. Stamford Bridge has stands on all four sides and in the corners, so it is a fully enclosed stadium. This allows for a better atmosphere during big games and the removal of the old running track from the pitch’s perimeter means you’re closer to the action. Here is some info on the stands, all of which have upper and lower tiers. The East Stand - The lower section of The East Stand is a family area, so there will be less noise but also less swearing etc. if you have children. The upper part tends to attract older members of the crowd so it is quieter still, but the views are genuinely excellent. 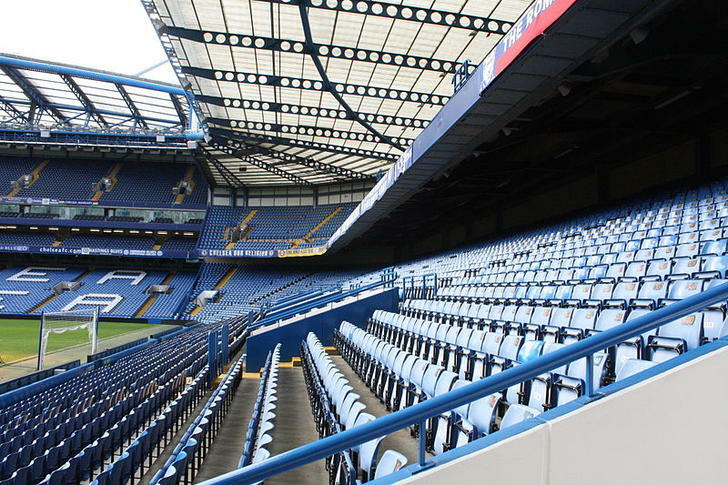 The West Stand - The West Stand is one of the most modern at Stamford Bridge. It is still likely to be quiet in both the upper and lower sections, with the upper boasting superb views that attract more affluent fans and those that have come from afar. The Shed End - A good atmosphere can be found in The Shed End, perhaps because the away fans are situated in the East part of it. You’ll also enjoy more good views from the upper section. The Matthew Harding Stand - Both sections of The Matthew Harding Stand will offer a good atmosphere, but the lower stand particularly is dominated by the die hard Chelsea fans. This is where you’ll get to sing, shout and swear, should you wish to. The cost of prices to see games at Stamford Bridge alters depending on where you want to sit, what the competition is and who Chelsea are playing. Many of the more in demand games will be sold via the club’s loyalty-point scheme. This is where the club gives members points depending on which matches they’ve attended. Here we’ll give you the cheapest and most expensive prices for matches in the Premier League for adults and concessions. These prices are general sale, you can get cheaper tickets if you are a club ‘member’. For your interest, the club charges £30 for adult and £15 for concession tickets for FA Cup matches and £25 and £12 for League Cup games. One of the best ways to buy tickets is through Chelsea’s club website. You can often also buy tickets, especially for Champion’s League games, via official third parties such as Thomas Cook Sport. There will usually be people selling tickets near the ground on match days, but often these are fake and we would recommend that you avoid them. As it’s in one of London’s suburbs access to Stamford Bridge is exceptionally easy. Bus, rail and Underground are all solid options if you’re heading to Chelsea’s home ground. Train - Fulham Broadway is the closest station to the ground, and is just a three minute walk away. It does, understandably, get very busy around matches. Parsons Green and West Brompton Underground stations are also less than a mile from the stadium, whilst Earl’s Court and West Kensington are only just over a mile away. West Brompton also offers National Rail and Overground options and Imperial Wharf is only half a mile away and is an Overground station. Bus - The number 14, 211 and 414 buses all stop outside Stamford Bridge. Car - If you’re coming from the South then cross the Wandsworth Bridge and head straight up the road, before turning right and then immediately left up to Fulham Broadway. On non-match days you can then turn right onto Fulham Road and continue to the stadium, but this road is closed on match days. If coming from any other direction use the M25 at junction 14 then take the M4. That becomes the A4 so follow that until you see Earl’s Court and proceed south down Earls Court Road. Turn right on the Fulham Road, after which you should start to signs to the ground. By Air - With Gatwick, Stanstead, Heathrow and London City airport all serving the city of London, travelling by air won’t be an issue. In all cases you’ll be able to get either a train or a tube to Central London from where access to Stamford Bridge is easy. Taxi - From Euston you’ll pay about £15 (minicab) to £25 (black cab) to get to the ground and it can take anywhere from 15 minutes to half an hour depending on traffic. Stamford Bridge will be easy to get to from anywhere in London, though expect to sit in traffic if you’re travelling at the wrong time of day. Traffic is understandably very heavy on match days once you get nearer the stadium and it may be quicker to get out and walk the final half mile. Parking near the ground itself is limited, with parking in general being at a premium in London. There are plenty of car parks around but they will not be that cheap. The best advice is to park outside of central London before getting the Underground in unless you can find a car park that suits. Much like with transport, hotel options in Central London aren’t hard to come by. For that reason we’ve gone for some that are really close to the stadium, but don’t be afraid to branch out if you’re looking for something specific. Located just 0.1 miles from the ground, La Reserve offers a restaurant and bar, self-parking and a business centre. More details. You can’t get much closer to the ground than a hotel that is part of the stadium itself! There’s a spa, 2 restaurants and childcare available. More details. Located 0.8 miles from Stamford Bridge, this is a real upmarket place with a marina and rooftop terrace. There is a full-service spa, health club and pool here. More details. There are plenty of good pubs in the area for you to choose from, including the Butchers Hook (formally called the Rising Sun) which is where Chelsea FC held their founding meeting on 10th March 1905. Most of the pubs nearest to the stadium get incredibly busy both before and after matches, so our recommendations take you a little further away from the action than normal. Note that some of the pubs around the stadium also operate a 'home fans' only policy before the match. About 15 minutes walk from Stamford Bridge and on the Fulham Road, this pub offers good food, nice ales and a top atmosphere. Probably not one for boisterous fans, mind. Located right next to Fulham Broadway station, you can enjoy, as the name suggests, good food and drink here. Often operating a guest list policy on match days, The Pensioner does craft beers, delicious food and shows live sport. Despite its age, most parts of Stamford Bridge have been updated reasonably recently, especially in the Roman Abramovich era. As such it has most of the modern developments you’d expect from a Premier League club. From stalls selling food and drinks through to stands where you can place a bet should you wish to, behind the scenes in the stands is what you’d expect it to be without being particularly exceptional. As one of the Premier League’s richest clubs, the hospitality options at Stamford Bridge are exactly as numerous and as classy as you’d expect. They’ve even got their own app! From a Sports Lounge through to a Private Suite, you won’t be disappointed with whatever level of hospitality you opt for. UTB Sports Lounge - You’ll get snacks and a drink on arrival, a three course buffet pre-match, complimentary bar as well as vouchers you can redeem in the West Stand’s concourse, a programme, Chelsea gift set, enjoy an appearance by a Chelsea legend and a padded seat in the Upper West Stand. Private Suite - A champagne and canapé reception awaits you here, with pre-match fine dining, half-time cakes and biscuits, full-time savoury foods, a hostess, a balcony on the west Stand, complimentary drinks and a past player appearance, this is an experience not to be missed. Matchdays at The Museum - Before you take your padded seat in The West Stand you’ll enjoy snacks, a mini behind-the-scenes tour, a pre-match two course meal, complimentary bar, drinks vouchers, a programme and Chelsea gift set as well as an appearance by a legend. Bronze, Silver, Gold or Platinum Package - The club offers several packages that are ever increasing in what they offer you. Based around the notion of sitting near the half way line in The West Stand (apart from Platinum which is in The East Stand) you’ll get things like fine dining, half-time refreshments, complimentary drinks, a programme and a Chelsea gift set. Platinum offers you a tour of the tunnel and ptichiside accompanied by a former player. Health Club or Marco Grill - You can eat in either the Health Club or Marco’s Grill restaurant before the match, enjoy complimentary drinks before and after the match and get a Chelsea gift set. Marco’s Grill will see the drinks replaced with half a bottle of wine and water or coffee/tea. Much like with the club’s hospitality packages, the private hire options at Chelsea are numerous in their options and quality in their delivery. Stamford Bridge offers 24 function rooms are 60 syndicate rooms that can be adapted for business meetings, exhibitions, training days and more. The club can cater for conferences, dinners and even parties. The latter can be enjoyed at the Chelsea’s exclusive ‘Under The Bridge’ venue, complete with a DJ and bowl food. If you’re feeling particularly keen you can also hire the venue for a Gala Dinner Banquet for up to 650 guests. Tours of Stamford Bridge last around an hour and take in several of the stands, both dressing rooms, the press room and a walk down the tunnel to the dugout. Your tour ticket also buys you entry to the club’s museum. Tours leave roughly twice an hour from 10am until 3pm on non-match days. The standard tour will set you back £19 for an adult, £13 for a child and £14 for a concession. There are also Platinum tours if you’d like a more private experience, packages that include lunch, a one and a half hour tour for Members and also the chance to be given a tour by a club legend. If you want to skip the tour and just go to the museum you can do so for £11, £9 or £10 depending on your age. Despite their somewhat tainted reputation as the league’s nouveau riche, Chelsea actually have a somewhat illustrious history. They won their first league championship in 1955, though their biggest successes have come since the arrival of Roman Abramovich. They have won six league titles, seven FA Cups and five League Cups as well as the Champions League. To the Premier League generation the club’s most famous manager will always be José Mourinho, the opinion-splitting self-proclaimed ‘Special One’ who enjoyed two stints at Stamford Bridge. For those of an older generation, however, names like Tommy Docherty, Dave Sexton and even Ruud Gullit will have a greater resonance. Stamford Bridge has held England International matches, FA Cup Finals and Charity Shield games just in the world of football. They’ve also hosted cricket and rugby union matches, greyhound racing and even American Football matches. 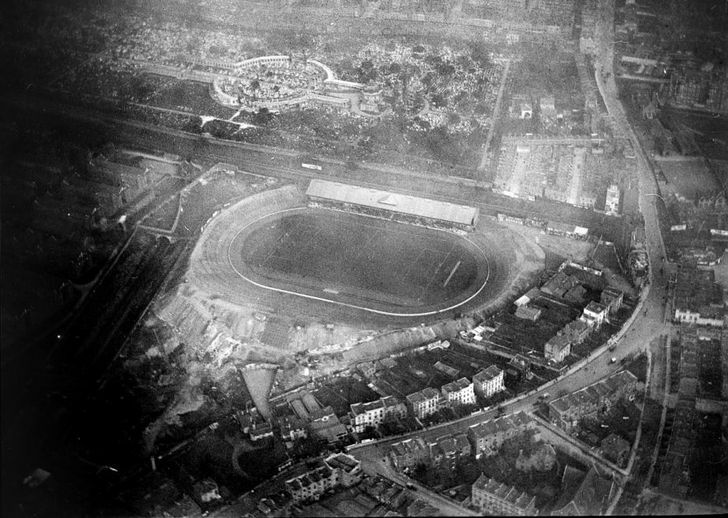 At one time the ground had a maximum capacity of 100,000 making it the second largest stadium in the country behind Crystal Palace. Nowadays it is the eighth largest Premier League ground and has a capacity of 41,798. To give the London club their due the ground has often been used as an experimental location for things. The above mentioned American Football match took place their despite the pitch not being long enough for a regulation size gridiron pitch, whilst the first notable day-night cricket match took place at Stamford Bridge before the idea of playing cricket games at football grounds was realized to be folly. Despite numerous attempts to leave Stamford Bridge and found a new stadium somewhere else in London, in the end Chelsea have opted to develop their current ground at some point in the future. 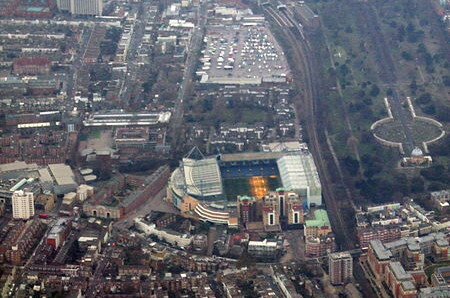 The redevelopments are intended to be finished in 2020 at which point Chelsea’s ground will be a 60,000 seater. The nature of the development will mean that Chelsea will move from Stamford Bridge for 3 seasons, almost certainly playing at Wembley during that time. 2016-2017 will be the last full season that the club plays at Stamford Bridge in its current format.